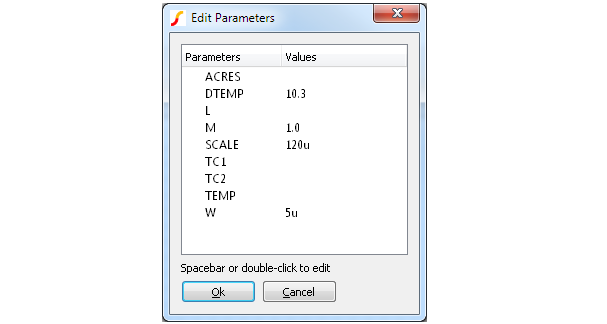 Opens the following dialog box and enters the names and values specified in the arguments. The user may edit any of the values by double clicking an entry or pressing the space bar. The function returns a string array holding the new values for each parameter.